Plentiful sunshine. High 87F. Winds SSW at 10 to 15 mph..
Madeira, an island outside the mainland of Portugal, produces the wine of the same name. Grapevines on the island of Madeira. Fifty-six kilometers (35 miles) long, Madeira is an island outside the mainland of Portugal. With a spring climate year-round and magnificent views of soaring mountains and the ocean everywhere you look, Madeira is a popular destination for the cruise ships. Daily, hundreds of tourists descend upon the island to explore the town of Funchal including visiting the colorful farmers’ market Mercado dos Lavradores and taking the gondola up to the top of a mountain and racing back down in a basket toboggan. They also go to the Cabo Girao skywalk, a glass-floored viewing platform that stands 1,900 feet above the Atlantic Ocean. There are gardens, hiking trails and pools and, of course, wonderful restaurants serving freshly caught fish. And they shop for elegant embroidery, a specialty of Madeira. But, one thing that many tourists do not think to do is drink Madeira, the wine named for the island. 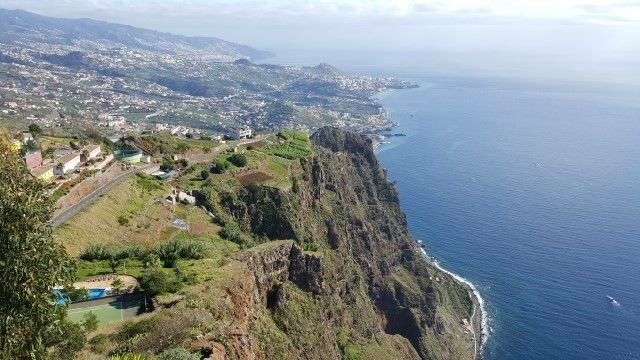 Madeira is a volcanic subtropical island with basalt soils rich in iron, magnesium and phosphorous. There are at least seven microclimates on this small island; it can be cool and rainy on in one place and sunny and windy only five minutes away. The vines, planted on steep slopes, are grown in tiny plots. The vineyards are primarily planted in a pergola system, allowing the grapes to access more air. 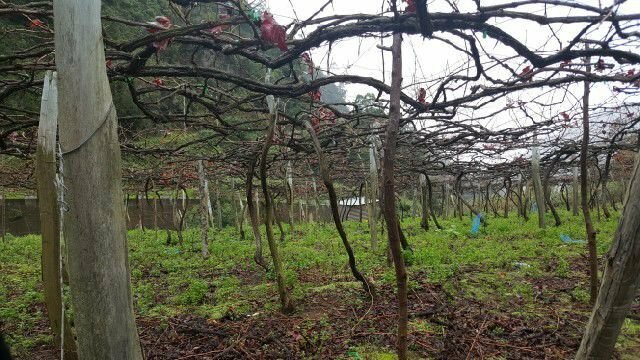 There are approximately 2,000 growers on the island, with 65 percent of the vineyards located on the southwest side of the island and 35 percent planted on the north coast. There are only eight Madeira producers on the island: Pereira d’Oliveira (1820), Henriques & Henriques (1850), Justinos (1870), HM Borges (1877), Madeira Wine Company (1913), Barbeito (1946), J. Faria & Filhos (1949) and CAF—Cooperativa Agricola do Funchal (1951). Madeira is not the stuff your grandmother cooked with. It is not a drink for old men with cigars in their hands. It is not a wine that is “too sweet” as many people have said to me when I mention it. It is a wine for everyone and every occasion. It is a wine that, with its incredible acidity, excites the palate. It is a wine that can be enjoyed at the start of the evening, with the meal or afterwards. There are numerous styles of wines produced in Madeira. Madeira is a fortified wine. The grapes are picked and begin fermentation. A grape distillate is added to stop fermentation and to fortify the wine. The alcohol is added depending on the grape varietal and will result in varying levels of sweetness. The wine is then matured in the Canteiro system where the wine is placed in barrels in a “lodge” where they are slowly warmed and exposed to oxygen as they age for years. (Walking through the lodges, I saw barrels with wine from the early 1900s and even the 1800s.) The “estufajes are stainless steel tanks that can heat the wine faster than the Canteiro system and all 3-year-old Madeiras are produced in estufas. As a result, Madeira gets its character from the aging process. The wines do not have primary aromas of fresh fruits but rather secondary and tertiary aromas. Each grape is produced to a different level of sweetness and the aromas and flavors are all so unique. Sercial, with its fresh notes of green grass and citrus, produces a dry Madeira. Verdelho, with aromas of orange peel and guava, produces a semi-dry style. Bual, with notes of caramel, toffee, brown sugar and figs, produces a medium-sweet style. Malvasia (also called Malmsey), with aromas of molasses and a lack of pungent acidity, produces a sweet Madeira. In addition, there is the highly prized Terrantez, which was nearly extinct and has notes of white almond and dried fruits and has the richness and structure of Boal with the acidity of Verdelho. There is also Tinta Negra, the only red grape grown throughout the island, which is used to produce dry, medium-dry, medium-sweet and sweet wines. No matter the level of sweetness in a Madeira, one of the outstanding characteristics is its acidity. This acidity is the freshness of the wine and it extends the length of the finish and cuts the sugar. The acidity makes Madeira pairable with most food. Sercial can be enjoyed with sushi and salads while Verdelho pairs well with oysters, seafood and paté. Bual tastes good with chocolate and tropical fruits and Malvasia (Malmsey) can be enjoyed with coffee or the traditional Madeira bolo de mel, a molasses spice cake. Madeira excites the palate. And with the holiday season upon us, Madeira is the ideal wine to be drinking as we celebrate a new year. Allison Levine is owner of Please The Palate, a marketing and event-planning agency. A freelance writer, she contributes to numerous publications while eating and drinking her way around the world. Contact her at allison@pleasethepalate.com.